Electric cars are becoming increasingly common in our communities. 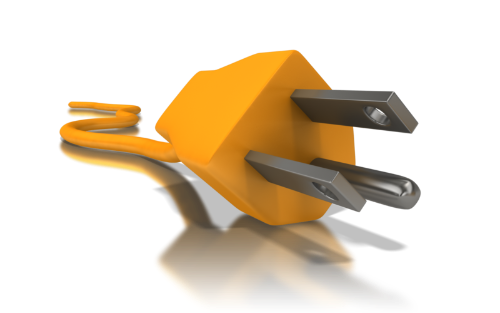 The City of Beverly Hills has put together this informational page to better inform residents of their electrical options and the necessary steps to prepare your home or business for electric vehicles. Are you considering the purchase of a plug-in electric vehicle? Considering an electric car or installing charging stations? Visit Southern California Edison—your electric fuel provider—to learn more about charging, installation, and rate options. Visit www.sce.com/electric-car to learn more. Prior to any installation or construction, the Community Development Department - Building and Safety division should be consulted to determine specific requirements. If a contractor is hired to perform the work, it is the homeowner’s responsibility to ensure that the appropriate electrical permits have been obtained. Do I need a Permit to install an electric vehicle charging station in Beverly Hills? Yes, permits are required. A city building inspection must be completed prior to activation of the new charging circuit for the plug-in vehicle. It is the homeowner’s responsibility to verify that all required inspections are completed satisfactorily. Standard 120v outlets will not require any changes. Will likely require customers to make changes to existing electrical panel. Verify a contractor license with the California Contractor State License Board. Plan Check is required for Commercial and Multi-family Residential (Apartment and Condominium) properties only. Final Electrical Inspection - Once the electrical devices are installed and system is in final operating mode. 2010 GREEN BUILDING CODE REQUIREMENTS (CALGreen Code) Effective January 1, 2011. Provide electrical panel capacity for one 120V AC 20 amp and one 208/240V 40 amp, grounded AC outlet and install conduit for future a future outlet for each required parking space. IMPORTANT NOTE: All installations shall comply with the California Electrical Code requirements.